Two main categories are available: suction and pressure. 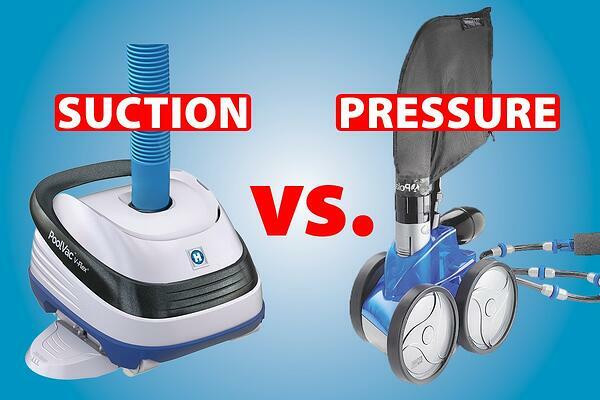 Both are effective at ridding your pool water of dirt and debris. However, the type that’s best for your pool primarily depends on surrounding backyard conditions and the kind of unwanted material that ends up in your pool. For example, if you live in a beach or desert area, the wind may carry sand or silt into your pool. In some yards, certain kinds of trees and bushes shed, nuts, seeds, leaves, acorns, and pine needles may fall into your pool. Or, if you have a grass lawn near your pool, whenever you mow it, the fresh clippings may find their way into your swimming environment. Your pool builder or service technician can advise you on what kind of an automatic pool cleaner will most skillfully address the typical debris in your yard. Let’s take a look at the two chief categories of this pool technology. Suction cleaners operate similar to household vacuum cleaners—except they move throughout the swimming pool all on their own doing their housekeeping. Powered by the pool pump, the cleaner rolls around on the floor and walls collecting dirt and debris. A hose from the unit hooks into a dedicated cleaner line—a special fitting in the pool wall that goes to a plumbing line that leads to the pool equipment. The captured matter travels through the cleaner hose and into the wall fitting; then it’s sent out of the pool structure to the pump basket and filtration system for final removal. Suction cleaners are ideal for backyards with lots of dirt, dust, silt, and pollen in the air. They provide a good option for deserts, semi-arid regions, and areas with minimal amounts of larger organic material—such as leaves—going into the pool. For these reasons, examples of U.S. markets where they are popular include Phoenix, Las Vegas, and Florida. However, exceptions exist: Even in a region like the ones just listed, a suction cleaner may underperform in a lushly landscaped, tropical backyard full of shedding trees. Suction cleaners are widely used and provide several benefits. 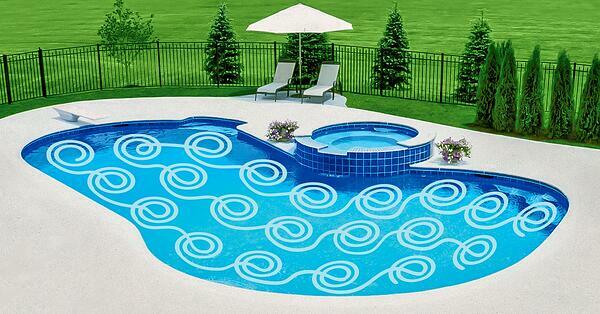 Because they usher dirt and debris out of the pool via a suction line, they do not store it. That means you don’t have any storage baskets that require emptying. Compared to their pressure-type counterparts, the initial purchase price of suction cleaners is particularly affordable. Operating costs are also economical. For starters, they run using the pool’s regular pool pump—versus requiring what’s known as a “booster” pump (a supplemental pump that powers a specific function), as do most pressure cleaners. That makes suction models more energy-efficient. Their design and engineering also make them affordable to own. Typically, they require only minimal maintenance and part replacements—also saving on these costs over time. Remember, they rely on your pool filter to trap the captured debris. Therefore, it’s smart to stay on top of filter maintenance. Of the three main kinds of pool filters—sand, Diatomaceous Earth, and cartridge—cartridge filters are the easiest to clean out. You can use your suction cleaner as often as necessary—be it daily or several times a week. On the maintenance front, it’s a good idea to periodically check the cleaner’s brushes and wheels for trapped debris. Occasionally, you may need to pull out twigs or other items that can create clogs. Buying Tip: Some suction cleaners move around pools in an inefficient, random pattern—spending too much time stuck in one spot. So look for a model with pre-programmed steering. This function allows the unit to cover the entire pool more quickly and thoroughly with a strategic pattern of straight and curved movements. With their wheels, a filter bag, and a sweep hose, these cleaners are particularly effective for clearing out medium-to-large-sized debris that would likely clog most suction cleaners. Like their suction counterparts, pressure cleaners connect to a dedicated cleaner line in your pool. Their venturi jet intake action creates water pressure that propels them around the pool. Unlike a suction unit, the trapped material goes into a storage bag or compartment attached to the cleaner. Once it fills up with debris, you will simply need to empty it out. A thrust jet on the back of the cleaner helps propel and direct its travel. Similar to the exhaust in a car, the thrust jet is the exit point of water that has gone through the cleaner system. It funnels through a series of ports and gears that drive the cleaner around the pool. As the unit rolls around the pool, the venturi is the port on the bottom of the cleaner where debris is vacuumed up into the debris bag or compartment. The sweep hose, which extends from the back of the cleaner, provides additional cleaning support. The hose stirs up the water to push fine debris off the walls and floor, where it is directed into the filter. An extra benefit is how it provides a small circulation boost—moving freshly filtered and sanitized water around the pool. A pressure unit is engineered to switch up its cleaning pattern around the pool and extract itself from possible obstacles. To help the cleaner adjust its course, an in-line backup valve in the feed hose reverses the flow every few minutes. Pressure cleaners are well-suited for outdoor conditions where suction units struggle: They are adept at gathering up leaves, twigs, nuts, grass clippings, acorns, pine needles, and other organic material. This capability makes a pressure cleaner a clear winner in areas of the country and in backyards where grass lawns and shedding trees and shrubs are heavily present. From sections of the West Coast to the Midwest to the Northeast, thousands of backyards fit the bill for this kind of pool cleaner. Energy needs create one necessary drawback to the cleaning power these units offer: Some models require a booster pump. With that second pump operating, it consumes more electricity; thereby cleaner operating costs will be higher. That makes it important to seek out a hydraulically efficient model of booster pump that minimizes energy use. Upfront purchase prices for pressure cleaners run more than suction cleaners, and you may have the additional cost of the booster pump. However, for thousands of properties filled with shedding trees and certain kinds of shrubs, plants, and flowers, a pressure cleaner is a must for the swimming pool. Buying Tip: To extend the period between debris-bag emptying, look for a unit with extra-large storage capacity. 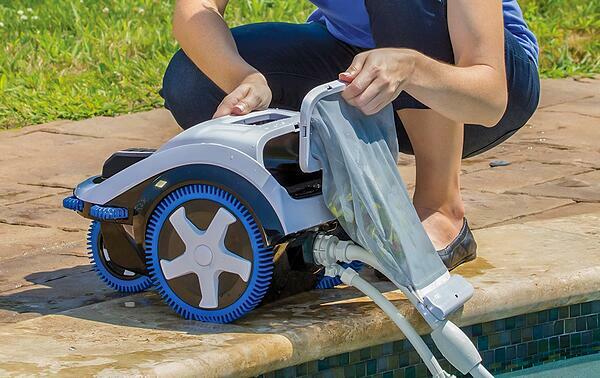 Thank goodness automatic pool cleaners exist—so you don’t have to do the job of clearing out debris by hand! Making the right choice will pay off with pool water that’s cleaner and more inviting for family and friends. Both suction and pressure units are effective. It’s not that one is better than another; rather, it depends on your backyard and the type of debris—sand, leaves, or other matter—that find their way into your pool. Each provides a unique set of characteristics and capabilities, and your pool professional can explain why a certain kind will be most appropriate for the landscaping around your pool and other local conditions. Then, with this cleaning chore accounted for, you can spend more time relaxing and enjoying the refreshing and clean water in your backyard oasis.